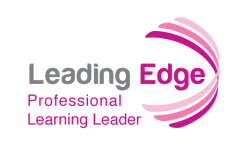 The goal of Leading Edge Certification for the Professional Learning Leader is to help each participant gain skills and knowledge to lead 21st Century learning environments. LEC participants will integrate contemporary technology into leadership and professional learning practices using web-based software and resources that serve adult learning objectives and educational goals. This class includes both theoretical and experiential components; participants will explore and research examples of effective practices in 21st Century learning environments, but will also spend a substantial portion of course time developing educationally meaningful and personally relevant products to support your role as a leader. It should be noted that participants who have less experience with educational technology may need to spend more time completing the modules. The participants that usually have the most success in this virtual learning environment set aside a specific time for their course work each week. One of the great things about online courses is that participants can perform their coursework when it is convenient for them; even in the middle of the night and on weekends. Ideally you have already reviewed the section, Is This LEC Course Right for You? If you haven't, please do so before moving on.